Platinum and diamond wedding bands on the wedding invitation, photographed with a macro lens. 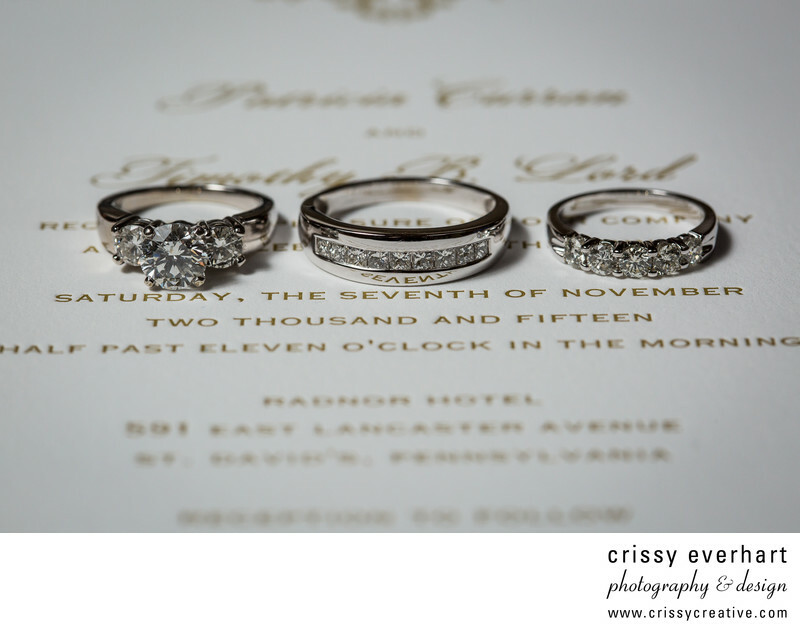 Most of the words are out of focus due to depth of field, except the date on the invite and the rings themselves. Location: 591 E Lancaster Ave, St David's, PA.